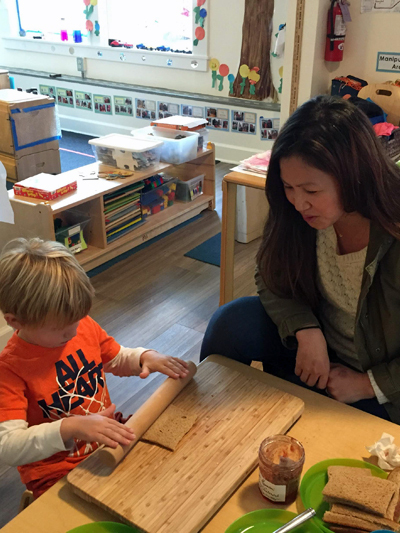 Volunteering is not required, but parent engagement is certainly welcomed at St. James Preschool. We respect that parents have many demands on their time and energy, so opportunities to get involved are found both in and out of the classroom to accommodate all schedules. Parents are invited into the classroom to share a passion, something from their culture, or a story with the children. Projects can be as simple as reading a book, or more involved such as making sushi. Volunteering in the classroom is encouraged and welcomed by all staff. 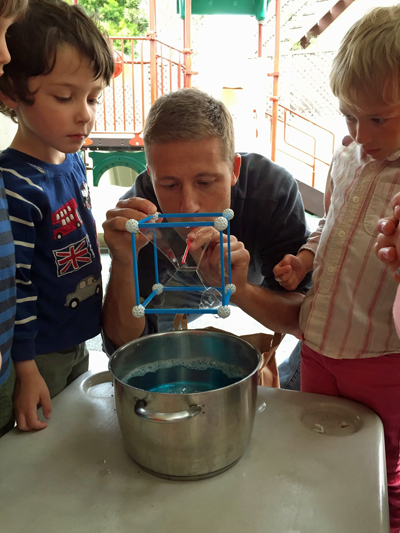 Parents can join their child’s class on field trips both during the school year and at summer camp. Excursions on the big yellow bus include visits to San Francisco playgrounds, museums, the Marin Headlands, and other favorite local spots. Each class has two room parents who help organize events like teacher appreciation week, parent social nights, and family gatherings outside the classroom, as well as coordinate communication between the class parents. "As first-time parents, we were pretty clueless about how to raise a human. We learned so much at St. James, not just from the teachers but our fellow parents as well. My son is now in 3rd grade, and our family still cherishes the friendships we made there."